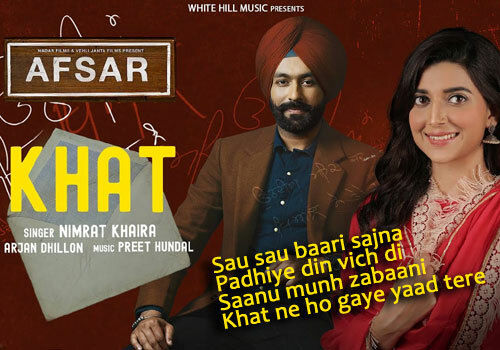 Khat Lyrics – Nimrat Khaira: This song is from the movie Afsar starring Tarsem Jassar and Nimrat Khaira in lead roles. Preet Hundal has directed its music and Arjan Dhillon has is written its lyrics. If you find any mistake in lyrics of KHAT LYRICS – Nimrat Khaira | Tarsem Jassar | Afsar song please let us know in comments.